Spice up your meal with quality sauces, spices and gravy’s. Robert’s sources quality local sauces and condiments to help you make your meal taste like a chef from your local favourite restaurant. Made in Guelph Ontario this award winning sauce has been winning awards for the past ten years bringing you the best for smoked ribs and pulled pork recipes. Beef, turkey, chicken and poutine. Available in beef, chicken and low salt. Great with our store made Oktoberfest sausage or schnitzel. Great tasting, all natural and gluten free pasta sauce! We recommend just trying a little as these sauces are seriously hot. A great conversation piece at any dinner table. You might not go blind, but you may be squinting through the tears just a bit. I kid you not, every time I try this I sound like Daffy Duck on crack!! I know! Flavor Duration: approximately 5 seconds Heat Duration: 15 seconds to 30 minutes for true wussies! 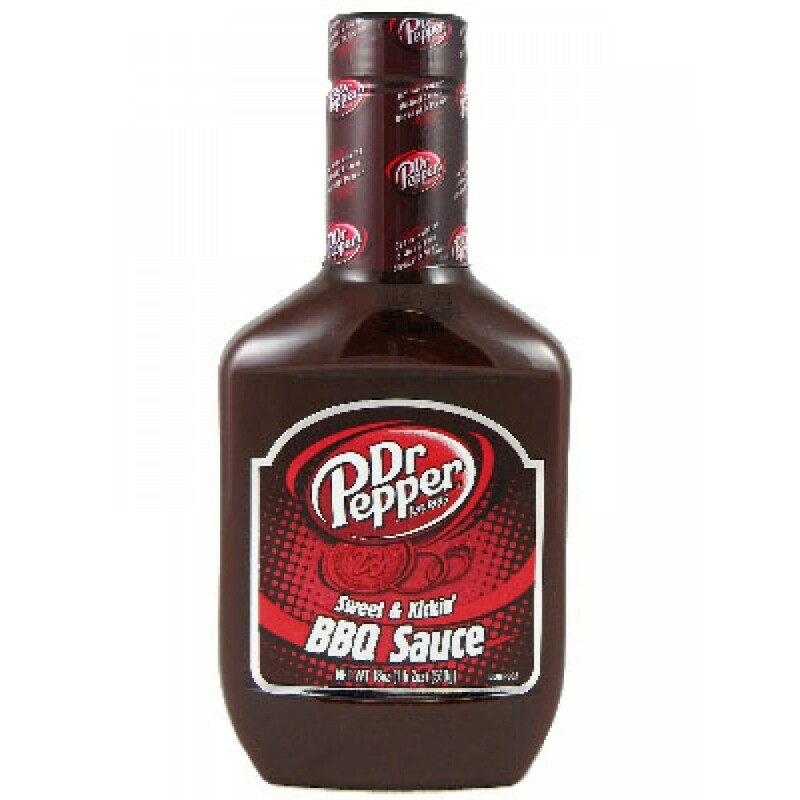 Arguably the Hottest BARBECUE sauce on the market today. Keep in mind chile heads, this is NOT a hot sauce, I said BARBECUE SAUCE with all the heat most normal humans would ever consider ingesting at a sitting!! The difference between most shock hot sauces and Hottest Ride, is that we give you a great Barbecue flavor and then the most heat we can jam into the sauce to compliment your cookout. Joe Vanee’s original recipe, made with oven roasted beef and beef drippings for that great homemade flavor. Vanee Pulled pork is fully trimmed, boneless pork, slow-cooked in its own broth until tender and easy to shred. Make your meals easy and convenient for little cost and big flavour. Want the perfect steak? Try Perfect steak marinade. Trim excess fat from the steaks. In a heavy, reseal able plastic bag combine the remaining ingredients. Marinate the steaks for 1 hour at room temperature or up to 24 hours in the refrigerator. If refrigerating, bring steaks close to room temperature 1 hour before grilling for more even cooking. Preheat the barbecue on HIGH. Brush grids with olive oil. Whether you are a commercial hot dog vendor or chip wagon owner or whether you have a large company bbq or family gathering we carry a host of bulk condiments. We also sell the pumps to go with the bulk condiments. Dr. Pepper Sweet and Kickin BBQ Sauce Give your BBQ a kick with the 23 flavors of Dr Pepper combined with the slow simmered, sweet and spicy seasonings. Our BBQ sauce is perfect for basting, marinating, or dipping. Experience the bi bold flavor of the Dr Pepper taste you love in every bite. Ingredients: high fructose corn syrup, water, tomato paste, distilled vinegar, modified corn starch, molasses, salt, spices, natural and artificial flavors, apple concentrate, pear concentrate, grape concentrate, dextrin, maltodextrin, smoke flavor, caramel color, sodium benzoate, and potassium sorbate. Jim Beam BBQ Sauce adds a rich and a subtle bourbon profile to grilled meats, baked chicken, even shrimp and fish. It’s made from only the most natural, authentic ingredients, not the least of which is Jim Beam bourbon. You’ll love the well known taste of Beano’s sauces. Available in the famously renowned sub sauce, cheese, southwest, wasabi, chipotle, jalapeno mustard and more! Beer and BBQ – this delectable gift set showcases the perfect American combo! 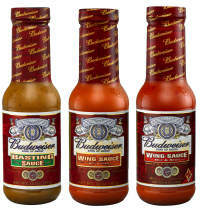 Executive chefs and brewmasters from Anheuser-Busch collaborated to create recipes worthy of the Budweiser® name. Available in honey garlic, smoked and original. 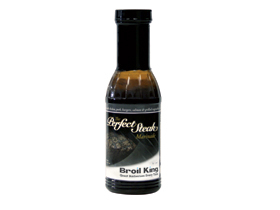 A fabulous blend of balsamic vinegar, white vinegar, vegetable oil, garlic, onion and spices. The perfect steak marinade is the quickest, easiest way to marinate steaks and other grilled meats. Best used with beef, chicken, pork and grilled vegetables. A long time favorite flavor enhancer of chefs and home cooks, Frank’s® RedHot Sauce is the perfect blend of flavor and heat for a delicious zing. Available in Original, Even Hotter or Buffalo in 3.8 liter jugs.